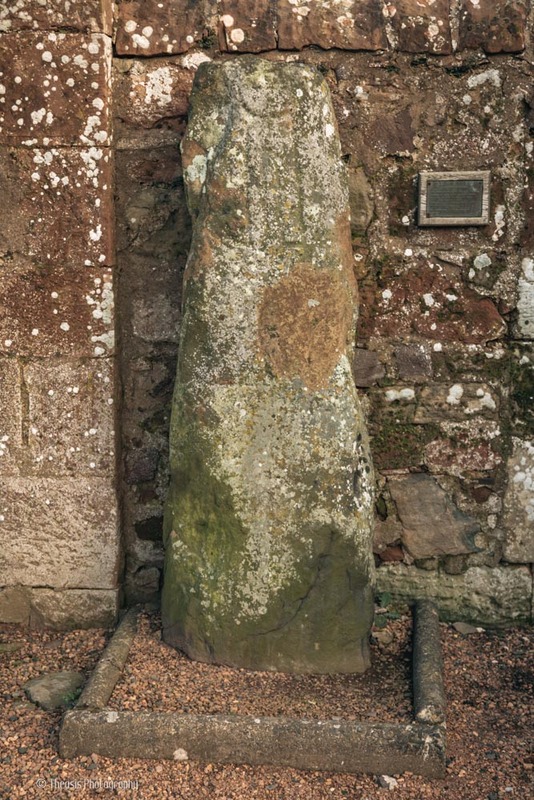 Up against the wall just outside the gates to the kirkyard in Strathmiglo is a re-erected standing stone with its own little concrete kerb. 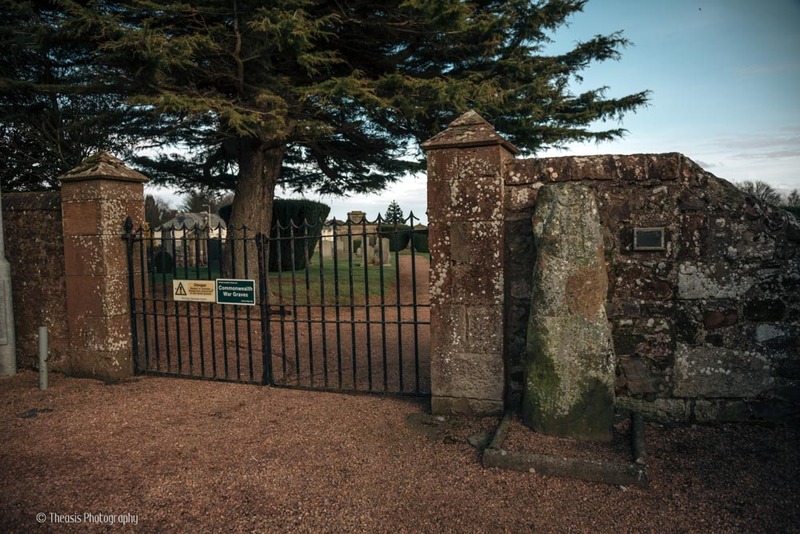 The stone had been used as a gatepost nearby but had fallen, and in the 1960s two Pictish symbols - a tuning fork above a deer head - were noticed. 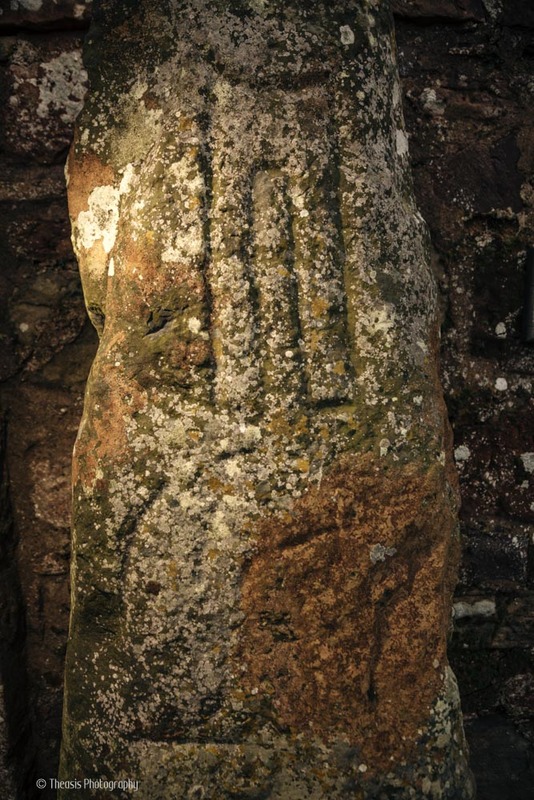 Probably carved around the 8th Century AD, the meaning of the symbols is unknown. 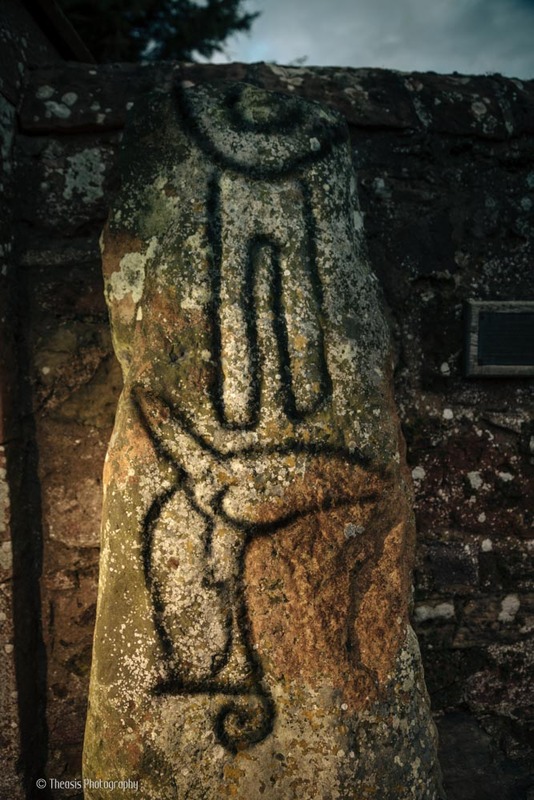 Indeed, what the 'tuning fork' symbol is a picture of is also unknown - it is just a more convenient name than elongated notched rectangle and disc.